I’m still trying to catch my breath after a crazy experience this morning! Earlier today, YVR Deals reported a round trip business class fare for roughly ~$800 CAD, flying with ANA from Vancouver to Sydney, Australia. Available dates of travel ranged from September to December 2017. Since we are based in Vancouver, this was the perfect deal for us, as we wouldn’t need to purchase any re-positioning flights. Here’s one of the itineraries we were able to find. Five minutes after we found this, it was gone. The fare was priced in various booking sites like Momondo, Expedia, FlightNetwork, and even ANA’s own website. 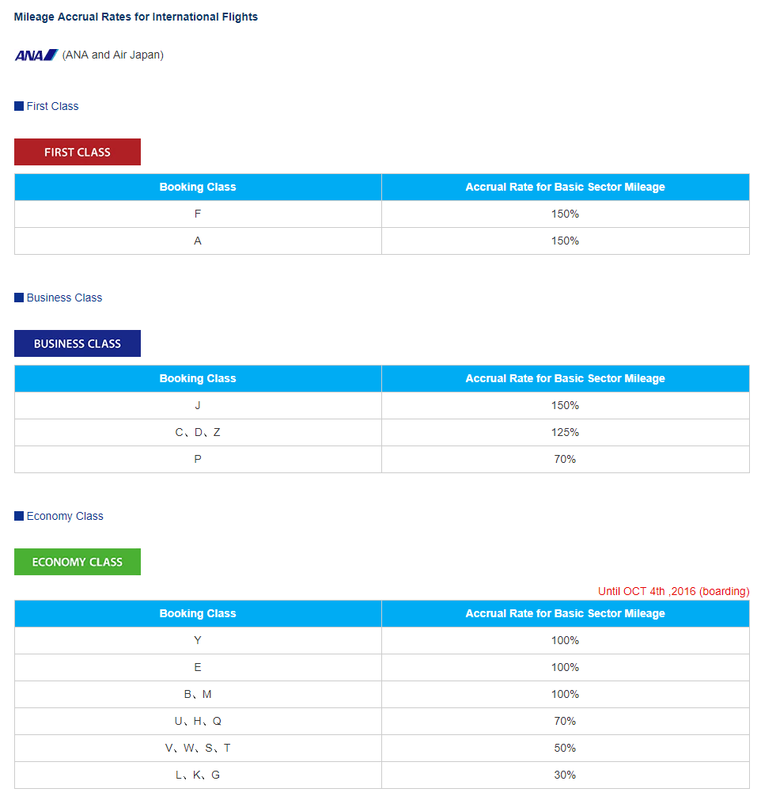 Additionally, all the long haul segments were listed in Business Class with Z fare code, meaning it would be 125% mileage earning rate in Aeroplan, United Mileage Club, etc. After about a bit of searching, we noticed that there were still a limited number of dates available. We tried to purchase the fare for early December on ANA’s website, but the purchase error-ed out on the final page. Darn! Refusing to give up, we spent the next hour trying a different combination of dates on different booking sites. 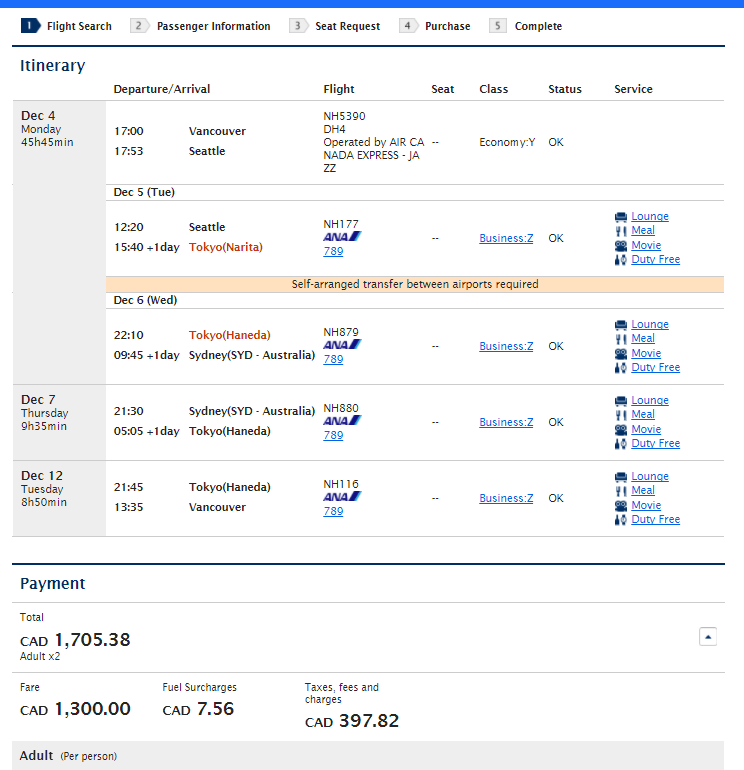 Eventually we finally managed to secure a round trip ticket in late September, pricing out to $800.50 CAD per person on ANA’s website. Our final itinerary is as follows. The purchase went through, and ANA has sent us an E-ticket confirmation as well, BUT we know better than to celebrate until the dust has settled and it is fully confirmed. Error fares occasionally occur and while some airlines will honor it, other airlines will simply decide to cancel and refund your ticket. We’ll wait a few days, maybe even a week, to see how ANA responds before making any plans for accommodation. Here’s to hoping that ANA will honor the fare. We’d been wanting to try ANA business class for a while! Were you able to secure a booking before it sold out? Which website did you go through? Let us know in the comments. You can also let us know what you thought about this post! If you’re interested in travel reviews and trip reports, subscribe to our newsletter for regular updates.